Sure, there are people that like really cold porridge, but chances are it’s not for you. Many chatbots on the market today offer nothing more than canned responses triggered by a keyword or phrase. These scripted chatbots may seem like they can have a conversation, but in reality, a human has pre-written responses for every single question it can answer. Ask the same question again in a different way, and the bot is useless. Scripted chatbots lack the ability to understand the real intent behind a question, so a person will always have to write new “conversations” to keep up with the influx of new and nuanced questions. Since it would be nearly impossible to script a response to every single question in every possible way that it could be asked, scripted chatbots inevitably frustrate customers and send them heading for the nearest competitor. On the opposite end of the spectrum is cognitive AI, which is pretty much the technology behind the nightmare scenario of robots taking over the world. The technology is still in its infancy, and while the possibilities are amazing, the results of real-world deployments have been less than desirable. (Ah hem, Tay, we’re looking at you.) Cognitive AI uses complex machine learning algorithms and Natural Language Processing (NLP) to learn on its own and have human-like conversations. And while these technologies are very hot, they have the potential to make your business go up in flames. Businesses need to have complete control over the outputs from cognitive AI, or your chatbot could end up giving away all of your products or services for free after “learning” that this makes customers happy! Anything is possible for cognitive AI solutions, and that’s not always good for business. Scripted chatbots are way too limited, and cognitive chatbots are too much in terms of cost, implementation time, and unpredictability. But there is a happy medium: chatbots with true NLP and conversation skills that leverage structured data to have natural-language conversations offer robust capabilities with quick deployment. Let’s break that down. True NLP and conversation skills means the bot can do more than spit out individual utterances. It understands the intent of a phrase or sentence and responds to that intent, not a keyword. So, asking a question in a different way won’t be a problem for the bot. And somewhere in between pre-written scripts and completely unstructured machine learning is the ability to learn from limited, structured data while a human supervises. Solutions that use cognitive AI technologies, like machine learning and NLP, but enable business users to supervise the machine learning process are the porridge that’s just right. 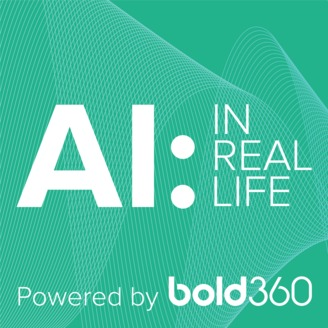 Scripted chatbots offer poor customer experiences, and cognitive AI solutions are expensive, time consuming to implement and are too unpredictable for customer engagement. Conversational chatbots with human-supervised machine learning and NLP offer the perfect balance of intelligence and control to deliver a truly delightful customer experience. 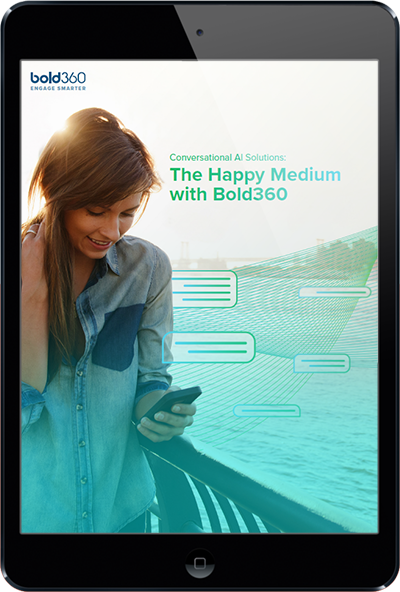 To learn more about how we’re using conversational AI, check out: Conversational AI Solutions: The Happy Medium with Bold360.